with the title 'On An Island'? Who designed the 'On An Island' album cover? A very nice chap called Steve Knee. Steve also designed the very special packaging (which resembles a book, complete with hard covers, cloth spine, and foil-blocked spine lettering) and supervised its production in Italy. What is the running time of 'On An Island'? 51 minutes and 44 seconds...the perfect length. Are there any plans for new Pink Floyd live dates? There are no plans for any live Pink Floyd dates. Which musicians feature on 'On An Island'? Pink Floyd keyboardist, Richard Wright, is on there, as is Guy Pratt (who has played bass with Pink Floyd on two world tours, as well as contributing much in the studio). The amazing Jools Holland lends a hand (or two) on piano. David Crosby and Graham Nash show up on the title track and Robert Wyatt makes a contribution as well. Orchestrations are provided by the renowned Polish composer, Zbigniew Preisner. 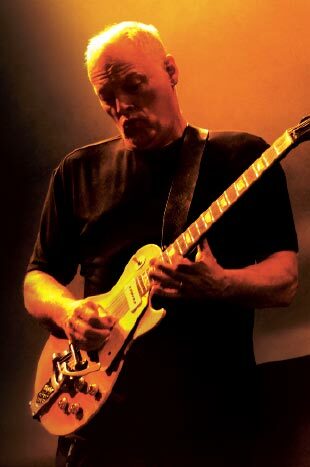 The album is produced by David Gilmour, Chris Thomas and Phil Manzanera (who have worked with David and Pink Floyd extensively since Dark Side Of The Moon), and was released in March 2006. What charities does David support or endorse? David supports numerous worthy causes and his charitable trust has donated a substantial amount to a variety of charities (see Charity). He cares passionately about the homeless and gave the entire proceeds of the sale of his London town house to Crisis. He is now their vice-president, although he prefers to keep out of the public eye as much as possible. He has performed at myriad benefit gigs for Teenage Cancer Trust, Nordoff-Robbins Music Therapy, Amnesty International, and PETA among others. Of course, the Pink Floyd reunion in July 2005 was driven by a desire to contribute to an important cause (Live 8) and the profits made from increased record sales were also donated to charity at David's behest. Unlike many celebrities, you don't hear much about David's philanthropic ways, but that's only because he doesn't advertise them. How did Pink Floyd get their name? May I have a signed photo? David has signed occasional things for fans, plus the odd guitar for charity auctions, but he is uncomfortable with the concept of autograph collectors, as you can understand when you see the prices charged for stars' autographs, including David's, on eBay. He would really rather not be asked for an autograph, in an ideal world. How do I join David's fan club? There is no fan club. North American fans have been misinformed that they can buy pre-sale tickets if they join David's fan club. This is incorrect. There is no fan club and there are no plans to start one. David's equipment technician and expert, Phil Taylor, has been kind enough to answer some of your questions, which are shown below. I read that David acquired the very first Stratocaster. Is that true and does he still have it? Yes. David has the one which carries the 0001 plate. He used it at the Fender Strat Pack concert. Which guitars did David use on his new album? He used a Les Paul on several tracks on the On An Island album, as well as various Fender Strats, a Gretsch Duo Jet (left), several acoustic and lap steel guitars. a little box that looks like an oscilloscope. What is it for? It's a strobe tuner, which shows that a particular guitar string is in tune when the designated line on the strobe is static, rather than moving forward or backwards. from 'The Wall' recording sessions and tour? No. The Wall Les Paul on which he played, amongst other things, the solo in Another Brick In The Wall (Part Two) was an all gold – not a '59, which he still has and uses. He has been using a '56 Les Paul Gold Top with a Bigsby tremolo on it for this project as well – very similar, but with the addition of a tremolo arm. Pigs was only played live on the '77 tour. 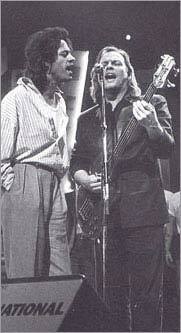 I cannot now remember why it was not used live – I remember David recording the part in the studio. But you are correct; it is the same effect as used on Keep Talking. The effect is not a vocoder but a Voice Box – where the guitar signal is routed from the amp output into a small compression driver (speaker) and then out through a plastic tube which is attached to the mic stand and is placed alongside the vocal mic. The tube is placed in the mouth and manipulated to produce changes in the sound – which are then picked up by the vocal mic. Any chance of David appearing at a European festival this summer? He's fluent in English(!) and conversant in French, German, and Italian. T-shirt in many of the photos that I have seen of him from the early '70s. It's completely true. David is quite handy in the kitchen. Even his mother-in-law has complimented him on his Chinese dumplings. He did say, perhaps tongue in cheek, that it was his favourite film once upon a time. More recently, David has cited 'It's A Wonderful Life' and Roberto Benigni's 'Life is Beautiful' as particular favourites. David usually requests that cheques be made out to several select charities (see Charity) of his choice. Which award did David get from the Queen at Buckingham Palace in 2003? David was made Commander in The Most Excellent Order of the British Empire, or CBE for short, in November 2003 for services to music. The Order is limited to 100 Knights and Dames Grand Cross, 845 Knights and Dames Commander, and 8960 Commanders. 'Sir' is reserved for Knights only so, no, he should not be addressed as 'Sir David'. It's true, but it's also a story that has been blown out of proportion. David did just a few modelling sessions. David does still get stage fright. He finds that the smaller the venue and the closer the audience, the more frightened he gets. If he picks anyone out, then it would be Polly. She's very supportive and goes to all the shows. I hear David is learning the sax. Does he play some on the new album? David was learning to play the saxophone with one of his sons a few years ago, and he has indeed shown off his skills on a track on his On An Island album. I'm sure he has had that pleasure, Chris, but I'm sorry to tell you that he's a Gooner. That's an Arsenal (Gunners) fan to those who don't know. No, the setlists remain largely the same regardless of where in the world David performs. Of course, changes are made during the course of a tour if David fancies a change. He said in 2002 that he was thinking of selling some of them, but to date has made no further plans. Tall enough to go on all the best rides at the fair, Dan. 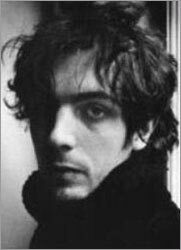 David is a great admirer of the late Syd Barrett, as both a person of great inner beauty whom he feels privileged to have personally known, and as an extremely talented songwriter who could have been one of the world's greatest musical talents had circumstances been different. David always comments on the way the lyrics just seemed to pour from Syd, and he certainly inspired David. They were friends before Pink Floyd, and David later produced two of Syd's solo albums and has performed several Barrett songs live as a tribute. David has been inspired by many musicians, including Hank Marvin, Leadbelly, Howlin' Wolf, B.B. King, Bob Dylan, Jimi Hendrix, the Beach Boys, and the Beatles. Not arrested as such, but held for questioning (in San Tropez). Please put this to rest once and for all: Why does Nick hate pie crust? Nick kicked up a fuss during the recording of Dark Side Of The Moon at Abbey Road – as was caught on camera and featured in the Live at Pompeii film – where he declared that he'd rather no apple pie than a round one. 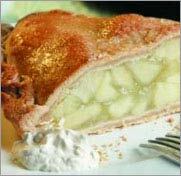 Although Nick has mellowed as the years have passed, he still feels that pie crusts are bland, boring and tasteless. Which they are. After a career performing before thousands of fans in huge theatres, David felt that it was a welcome change to play in more intimate settings in 2001 and 2002. Of course, the songs performed in London and Paris were better-suited to such venues, as they were quieter and softer in tone than the Pink Floyd songs which are very much at home in vast arenas. As those shows were semi-acoustic in nature, with gospel choir and orchestra, finding the most suitable venues was of great importance to David, as it was again for the 2006 dates. David has commented that it's much more nerve-wracking performing in smaller theatres, yet finds performing in large and small venues equally enjoyable. Well, besides guitars of all sorts, he plays the piano and keyboards. He plays bass (including fretless). He actually played bass guitar on many of the Pink Floyd tracks that one would assume Roger is playing on, and has indirectly won many a magazine bass-playing poll! He plays harmonica and drums, is learning saxophone, and he also plays a mean kazoo. Think Corporal Clegg and his wooden leg. 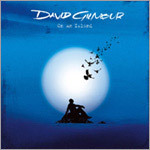 On his new album, David plays a cumbus – a Turkish stringed instrument, rather like a banjo. You're not a blind idiot, Keith. For the time being, David is very happy leaving the writing to his novelist wife, Polly. When asked to pick eight songs for BBC Radio, he chose the following: 'Waterloo Sunset' (Kinks); 'Ballad in Plain D' (Bob Dylan); 'I'm Still Here' (Tom Waits); 'Dancing in the Street' (Martha Reeves and the Vandellas); 'Anthem' (Leonard Cohen); 'A Man Needs a Maid' (Neil Young); 'For Free' (Joni Mitchell); and 'Rudi with a Flashlight' (Lemonheads). Syd Barrett or Roger Waters? It looks like Roger but I think it's Syd. It's Syd, the "golden boy". Do you really think it looks like Roger? As Storm Thorgerson, who made the video, has said, High Hopes is an amalgamation of images, so not really a story as such. David, Storm, and Syd grew up together in Cambridge, where the video was filmed. The images are David's memories of his childhood. Pink Floyd have played in Toronto several times. They played at Maple Leaf Gardens on 11th March 1973. The Momentary Lapse of Reason tour saw them visit the Canadian National Exhibition Stadium four times (on 21st, 22nd and 23rd September 1987, as well as 13th May 1988). And they must have liked playing there because they returned in 1994 for a three-night run in July (5th, 6th and 7th). As for solo concerts, then he did two at Massey Hall on 14th and 15th May 1984. Sorry, Richard, but he doubts it. Most fans know Mr Mason collects cars. 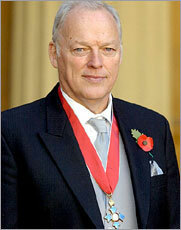 What does Mr Gilmour collect? At the moment, questions from fans! But he used to collect cars and planes, before deciding that he didn't need them, and got rid of them. Reading some of these questions, Rosa! You should see the ones we don't publish.